Living in shipping containers is no longer for vagrants, squatters, vagabonds, and errant wanderers. 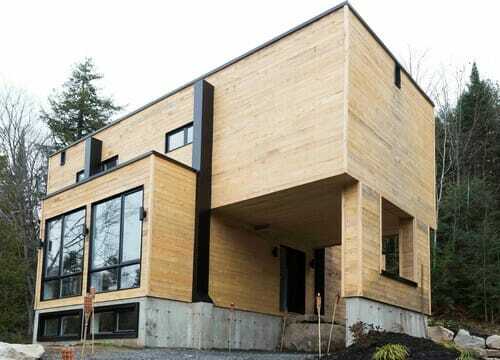 Recently it’s become a trend for people to construct cabins, vacation homes, portable businesses, swimming pools, and even bars using recycled freight containers. 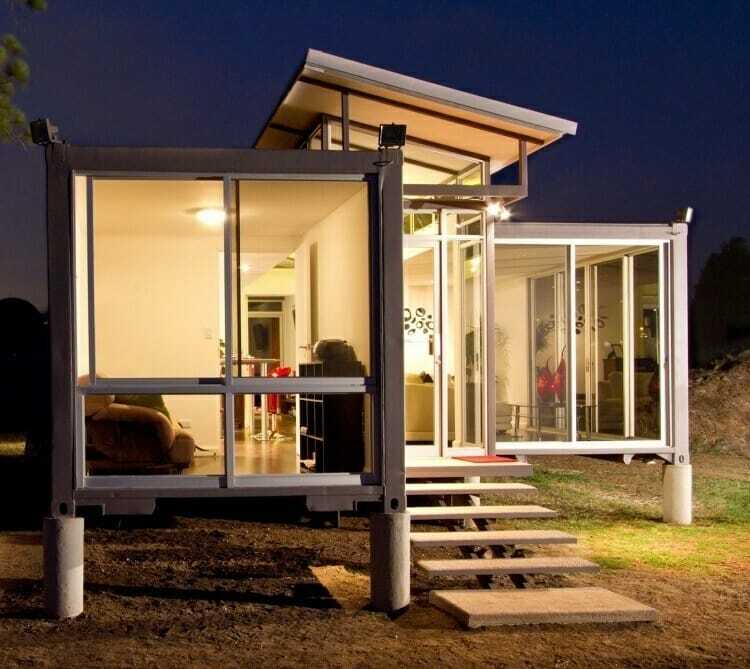 Constructing your home from old freight containers may not seem very appealing, but once you see ways these containers can be used to create stunning spaces, you’ll be ready to move into one. The fact that you can pick up a single shipping container, which is enough space for a small retreat, for about $2,000, makes this idea even more appealing. Still, though, hidden costs may not make them quite as affordable as many people think. 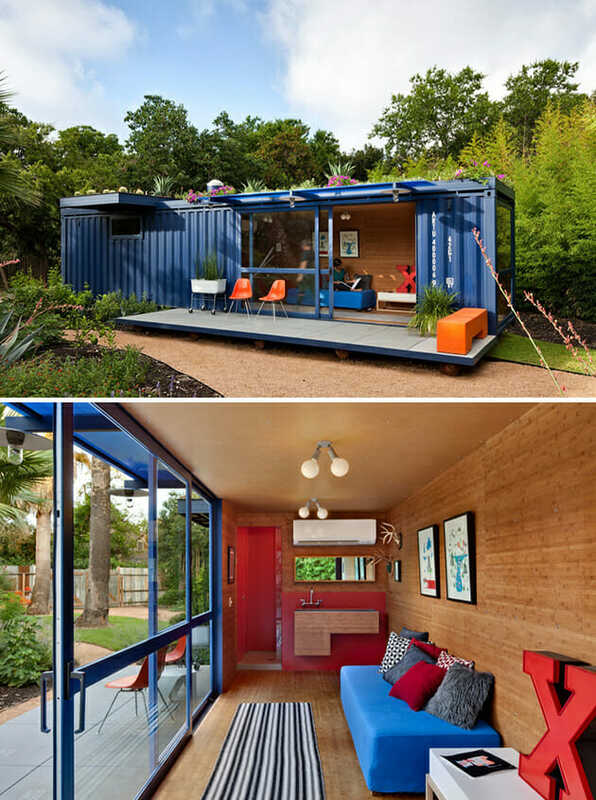 This San Antonio guest house was constructed from a single container. The windows and large glass sliding door really open up the space on the end that houses the living area furnished and decorated with somewhat retro and minimalist pieces. A study can be seen on the opposite end with a bathroom located through the doorway on the far wall. The sink that’s located just outside the bathroom also functions as an auxiliary sink in lieu of a kitchen. With a patio outside the entrance, this guest house is much more inviting, functional, and attractive than you would expect from something that’s essentially a giant metal box. Created on just a $40,000 budget, this lovely compact home in Costa Rica is made from two 40-foot containers. Even though shipping containers evoke thoughts of a dark and dingy interior, their numerous windows create a very open, airy living space. This home is designed with a central walkway that bisects the space down the middle with living areas to either side. 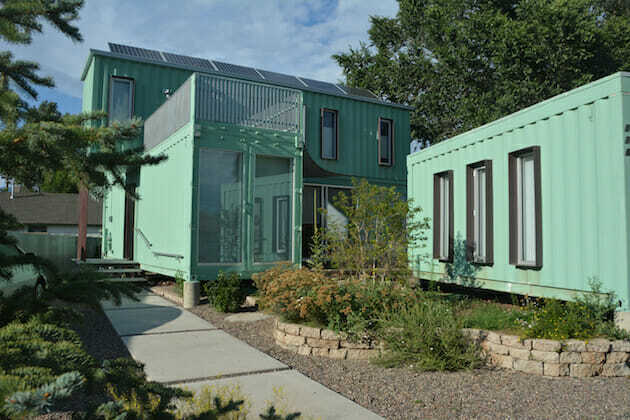 If you have your mind set on a more spacious home, take note of this big beauty made from six cargo containers in Flagstaff, Arizona. The exterior evokes cubism while being somehow modern and retro at the same time. 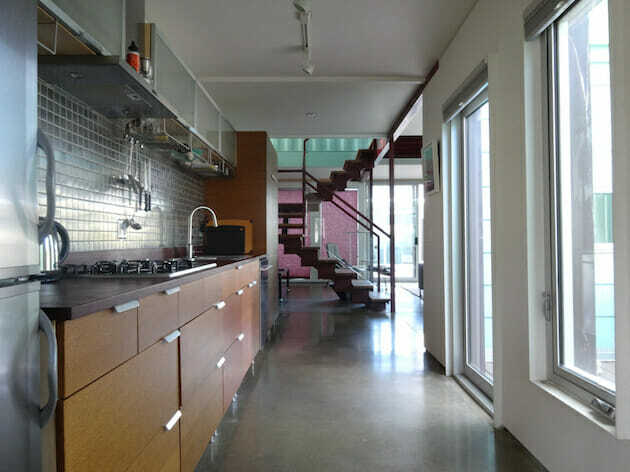 However, the interior of the home is stunning; you can’t even tell that the home is made from recycled metal boxes. Concrete floors and metal paired with walnut cabinetry, plenty of glass, and natural light converge to make the space elegant with a sense of industrial chic. The living area is open and quite spacious with a long kitchen that offers plenty of utility while echoing the industrial themes seen throughout the home. A rooftop terrace offers panoramic views of the home’s grounds and neighborhood while also being a nice place for the residents to relax and enjoy the fruits of their creativity. Other factors, we have to assume, include being at the forefront of an exciting new architectural style, as well as a strong interest in sustainable, green housing. Would you live in a shipping container home? Tell us about it on Facebook.